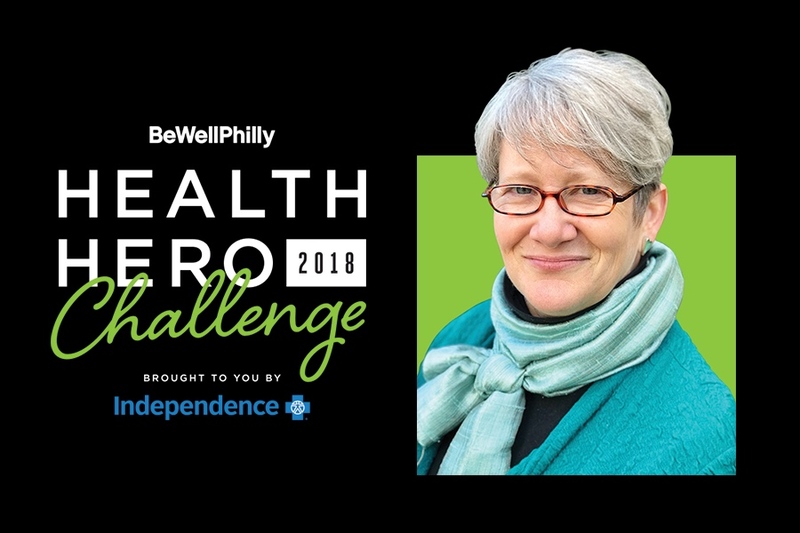 Susan Shifrin, founder of Artz Philadelphia, is one of our 10 Be Well Philly Health Hero Challenge semifinalists. 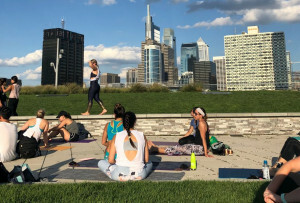 By Caroline Cunningham·	 8/30/2018, 1:00 p.m.
Susan Shifrin is the founder of Artz Philadelphia and a Health Hero Challenge semifinalist. » You can vote for Susan Shifrin here from September 4th through October 2nd. 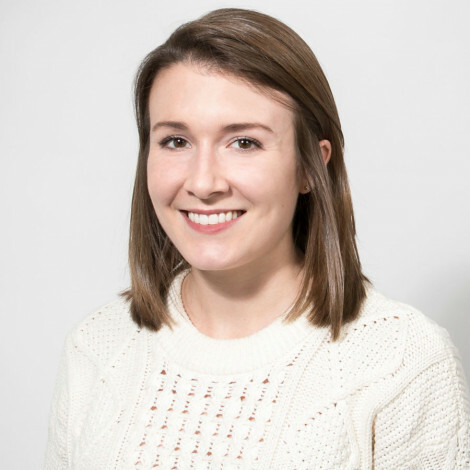 Role: Founder of Artz Philadelphia, an organization that provides opportunities for self-expression and for the rebuilding of self-esteem and dignity for people with dementia and their caretakers through creative programming. 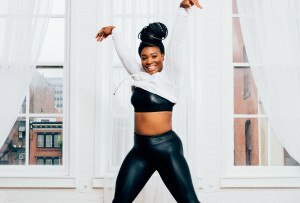 What motivates you to try and make Philadelphia a healthier place? As the founder/director of a non-profit dedicated to enhancing quality of life for people living with Alzheimer’s Disease and other dementias and for their care partners, I am motivated by the vision of a Greater Philadelphia where inclusiveness is the rule rather than the exception, a region with its doors wide open to people living with such illnesses, where understanding and compassion enhance everyone’s quality of life and thereby their physical and emotional health. Dementia is a public health issue and so is promoting enhanced quality of life. My mother was diagnosed with dementia 20 years ago. I was completely unprepared for the sense of helplessness, frustration, anger, and isolation as my family tried to come to terms with my mother’s apparent “loss of self.” At almost the same time, through my position as educator at a college museum just outside of Philadelphia, I was introduced to a group of wonderful women living with dementia in a local nursing home where their social worker was searching for ways to engage their imaginations and creativity. I was inspired by her to create a new program at the museum specifically to engage them, and it was then that I first discovered just how misleading the metaphor of the “long good-bye” can be when it comes to people living with dementia. With engagement and validation – and art – came remarkable revelations about just how present these women still were. The incidence of dementia is more prevalent than we might think. In Greater Philadelphia, there are more than 100,000 people living with diagnoses of Alzheimer’s Disease and at least another 30,000-40,000 people without firm diagnoses or with other dementia diagnoses. For each person with a diagnosis, there are three to four family members and friends helping to care for that person. We are therefore looking at a public health crisis that affects more than half a million people in Greater Philadelphia alone. People living with dementia and other chronic illnesses are not cardboard cut-outs or stereotypes; they are our neighbors, our friends, our family members. The more we understand that they are people first and people with illness a distant second, the more compassionate and engaged we are with them, the healthier they and we will all be, across our communities. This is doubly vital for physicians and other healthcare providers, who are often ill-equipped to connect with their patients living with dementia and with the families of those patients because they simply don’t know how. In delivering a diagnosis that brings with it stigma and a sense of devastating hopelessness, frequently in the absence of concrete advice about how to continue meaningful living despite the diagnosis, physicians can inadvertently cause further harm to their patients and further devastation to those who love them. Indeed, a large percentage of family members caring for people living with dementia suffer catastrophic illnesses and die before their loved ones with dementia, precisely because of the lack of support and resources provided by the medical community. My organization has created an award-winning arts and dementia mentoring initiative through which people living with dementia and their family care partners serve as mentors for medical, nursing, and other health professions students, with whom they connect through art. We have seen extraordinary outcomes from this program — changes both in how our future healthcare providers view and understand people living with dementia and in how their mentors view themselves. I would institute a policy that would enlist the public health sector in promoting the addition of a similar program at every institution training medical or other health professions students. This would begin a region-wide change of attitude that would unravel stigma and enhance public health. What’s the most important part of your health regimen? While one cannot take a blood sample to confirm the “right levels” for quality of life, an extensive body of research tells us that quality of life has a huge impact on emotional and physical well-being. At ARTZ Philadelphia, we offer people living with dementia the opportunity to enhance their quality of life by connecting with each other and the wider community through interactions around arts and culture. Creative self-expression and the joy that comes from feeling validated in that self-expression can turn depression and distress to engagement and joy. Creative expression and meaningful connection with each other are two of the most powerful instruments for enhancing health available to us as human beings. And — as research continues to show us — they are among the most essential ingredients for quality of life.